Eric Benjaminson, a former U.S. Ambassador to Gabon, has accepted an offer to serve as the first executive director of the UO-led Gabon Oregon Transnational Research Center on Environment and Development in Eugene. Benjaminson grew up in Sweet Home, Ore., and graduated from the UO's Clark Honors College in 1981 with a degree in history. 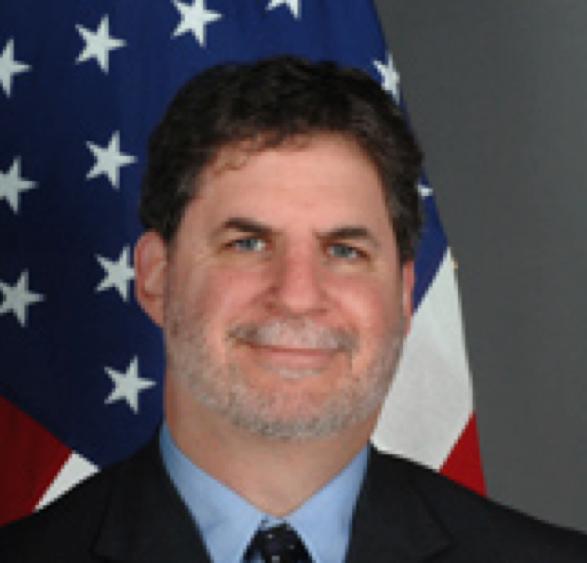 He recently retired from the U.S. Foreign Service after a 32-year career; he has worked in Europe, China, Canada, Burkina Faso, Nigeria, Namibia and Gabon. UO faculty and students will work closely with Benjaminson to accomplish the Gabon-Oregon Center’s mission to build partnerships and employ Oregon expertise to address global sustainable development challenges. The group will develop research, training and outreach projects that correlate to sustainable development in Gabon and other societies facing comparable challenges. The Gabon-Oregon Center is one of seven units within the UO Office of International Affairs that comprise the university's Global Studies Institute. Benjaminson will also establish partnerships through the Oregon African Studies Consortium with colleagues from Oregon State University, Oregon Health and Science University, Portland State University and Willamette University. More information about the Gabon-Oregon Center is available online.